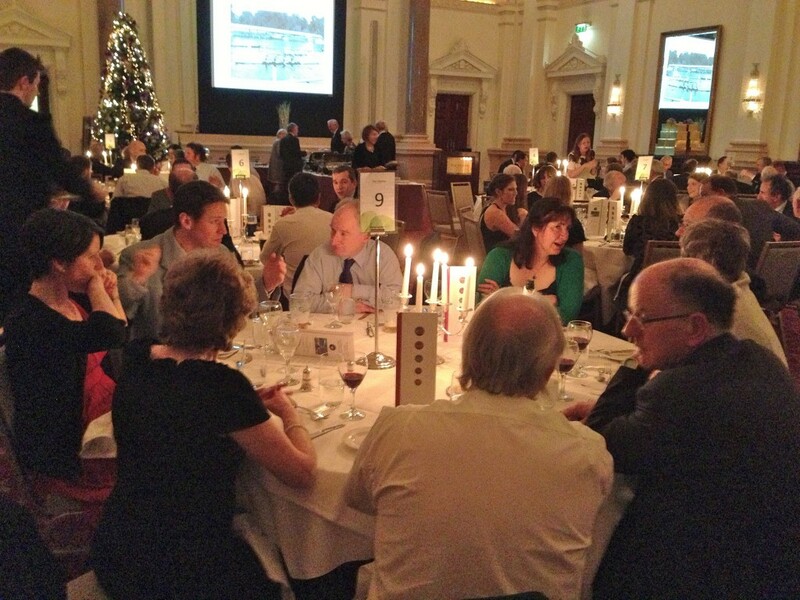 The Old Collegians Dinner was held in the Westin Hotel on Westmoreland St on Friday 23rd of November. To coin a phrase popular amongst Club Secretaries reports from a certain vintage, “a great time was had by all”. Claire Lambe, UCDLBC’s Silver Medallist World University Championships 2012, national champions Dave Neale & Gearoid Duane (UCDBC inter 2x and 1x) and Amy Bulman, UCDLBC’s Inter 1X national champion. It was a great delight to all that Liz Cooke could make it over for the dinner. Great too to see past members of UCDLBC attending in such numbers. Murrough O’Brien was presented with the Hanly Medal for his outstanding contribution to UCD rowing over the past many years.